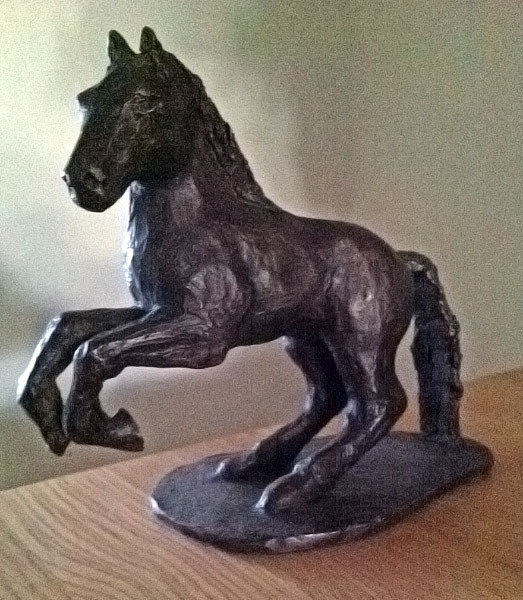 "I always fancied my own bronze, your offer made it a real possibility. I continually look at the little horse and think that I should have spent a little more time working on it, improving this and that but as a first effort I am very pleased. It sits in pride of place on the desk in my living room and I am ashamed to say I handle it a lot, it is very tactile and pleasing to me. I am impressed by the finish and weight of the piece for such a reasonable price. Anyway, I have had hours of challenge and pleasure from the free wax offer. Many thanks."